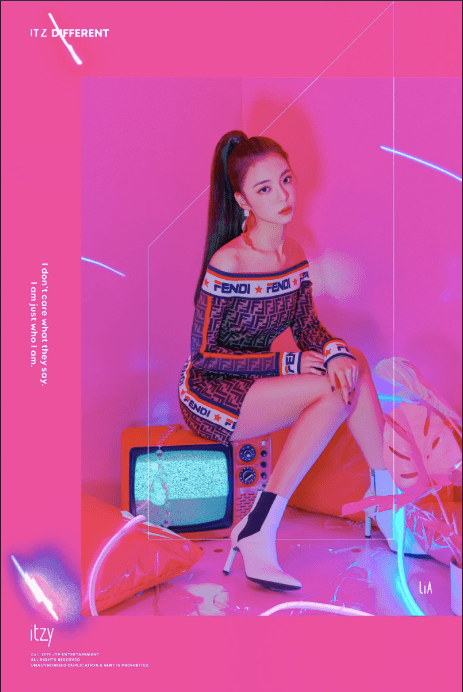 JYP’s rookie girl group ITZY have revealed member Lia’s stunning individual image teasers. The individual shots really showcase Lia’s doll-like features, which has made her very popular among ITZY fans. The strong hot pink tones in the first shot contrast well with Lia’s soft look. It brings down the intensity of the colour while still maintaining the elegant innocence that seems to encapsulate her. On the contrary, Lia‘s second shot compliments her well, with the cool blue hues matching her soft gaze. Lia had already been garnering interest as the maknae or youngest member of the group, being born on the 21st of July in 2000. What do you think of Lia‘s individual shots?